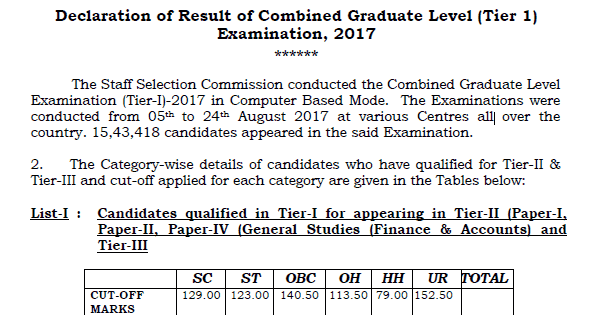 The Staff Selection Commission SSC has conducted the Combined Graduate Level Examination (Tier-I)-2017 exam mode of Computer Based online test. The Examinations were conducted from 05th to 24th August 2017 at various examinations Centers throughout country. Approximately 15,43,418 candidates appeared for the exam. All the appeared candidates can view their results from the following link.